Below is a list of non-profit organizations doing amazing work in the Fairfield County community. Click on the logos to visit their websites. Abilis, Inc. is a 501(c)(3) nonprofit organization that provides services and supports for over 700 individuals with all ages with special needs and their families annually. Abilis has been a leader in providing state of the art services for the special needs community in Lower Fairfield County, Connecticut for over 66 years. The Center for Immigrant Opportunity (B1C) brings passionate people together to help immigrants and their families succeed in the community. Our Educate, Employ, Empower, and Engage programs remove barriers to success and propel our immigrant clients along the path to economic self-sufficiency. The mission of the Cardinal Shehan Center is enriching lives through learning. Whether it is through one of the academic programs like personal tutoring or homework help, or through a recreational activity like sailing, or basketball, the Center enriches lives of children by providing programs and experiences that are often inaccessible within inner city communities. The Carver Foundation of Norwalk’s mission is to help children and youth reach their greatest potential by providing educational, social and recreational programs in a positive, safe and fun environment. Carver is Norwalk’s largest provider of after school programs for middle and high school students, and the largest provider of summer programs serving K through 9th grade students, operating in 10 Norwalk schools and the Carver Community Center, advancing the lives of 1,461 students last year. The Center for Children’s Advocacy’s (CCA) mission is to protect children’s legal rights and increase low-income children’s access to opportunities, services and supports provided by the education, health, child protection, juvenile justice and other systems that serve low-income children. The Child Guidance Center of Southern Connecticut (CGC) is dedicated to improving the mental and behavioral health of children and teens through treatment, education, and community support. CGC provides specialized outpatient services to children and adolescents to treat psychological, behavioral, developmental, social and familial problems, regardless of their families’ ability to pay, in conveniently located offices, in homes, schools and other community locations. CLC’s mission is to give every child and family in our community access to affordable, high quality, early childhood education and care. The majority of children we serve come from low-income and/or immigrant families, many with parents who have a limited education. Community Centers, Inc. is a Greenwich-based social service agency dedicated to building skills that empower clients to overcome educational, social, and economic barriers. CCI provides a variety educational and support services to the low-income population of Greenwich, Connecticut who live in public housing in the community. Over 1,000 clients use CCI’s services every year. The Connecticut Food Bank’s mission is to provide nutritious food to people in need. We do this by supplying food products and resources to our member agencies, as well as through direct food distribution programs and by promoting public awareness about the problem of hunger. CIRI’s mission is to assist refugees and immigrants to resolve legal, economic, linguistic and social barriers so that they become self-sufficient, integrated and contributing members of the community. Since opening its doors in 1972, Domus has supported vulnerable, high-risk young people to rise above adversity. Through more than a dozen programs, we provide academic support, social-emotional skill building, and personal and practical connections to help guide our youth through critical junctures in their lives so they may become resilient, positive contributors to their communities. At Earthplace we envision a sustainable community where conscious regard for the natural world guides individual actions. 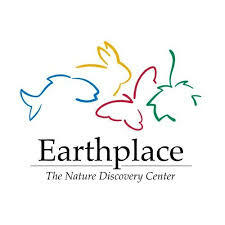 The mission of Earthplace is to build a passion in our community for nature and the environment through education, experience, and action. The mission of the Harbor Watch program is to improve water quality and ecosystem health in Connecticut. The Family and Children’s Agency partners with individuals, families, organizations, and communities to build better lives. Future 5 helps motivated low-income Stamford high school students connect to their full potential, leading to independence and productive citizenship. Our goal is to connect students to the people, resources and experiences essential to making the transition to post-secondary education and careers. Inspirica's mission is a higher bar than most organizations that serve the homeless. Our objective is not to shelter people, but to fundamentally break the cycle of homelessness by addressing not just the physical component of homelessness, but also its underlying root causes. INTEMPO provides high-quality music education to low-income children predominantly from immigrant or first-generation backgrounds, helping them build critical emotional, cognitive, and behavioral skills, and empowering them to leverage these skills to achieve life success. 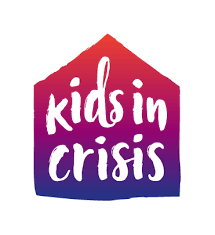 Kids In Crisis provides emergency shelter, crisis counseling, and community education programs for children of all ages and families facing crisis. Crisis can can include domestic violence, mental health concerns, homelessness, substance abuse, economic difficulties, and other critical challenges. The Kids In Crisis Helpline is staffed 24 hours a day with trained Crisis Counselors, and provides free, confidential phone and face-to-face intervention, counseling, and referrals. Kidz Give Back enables all children the opportunity to give back to their community. No child shall be left behind which is why we hope for grants to allow inner city students without the financial means to participate. These students are often recipients of aid and this event empowers them to help other children in their communities who are in need. Laurel House (LH), a nonprofit organization in Stamford, CT helps individuals and families achieve and sustain mental health to lead fulfilling lives in the community. Liberation Programs is one of the area’s leading behavioral health service providers specializing in treatment for addiction of all kinds including alcohol, opiates, depressants, and stimulants. Our mission is to help individuals and families overcome addiction in order to restore their lives and ultimately strengthen our communities. 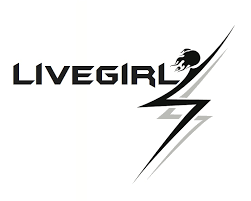 Founded in 2014, LiveGirl, Inc. is a Fairfield County-based nonprofit organization with a mission to empower and equip the next generation of female leaders. We do this by providing high dosage, year-round leadership development and mentoring that builds self-confidence, fosters diversity, and provides transformational personal development. We help young women, especially those who need us the most, realize their fullest potential. Our evidence-based programs are proven to build self-esteem and social emotional intelligence, the essential building blocks of a confident leader. Make-A-Wish® Connecticut grants life-changing wishes to children with critical illnesses. Since our inception in 1986, we have granted over 3,000 wishes and transformed the lives of children and their families battling life-threatening medical conditions. Each wish serves as a catalyst for renewed strength and encouragement for every child and family during their wish journey. Our vision is to bring every eligible child’s wish to life and positively impact their health outcomes. Mercy Learning Center of Bridgeport, Inc. (MLC) provides basic literacy and life skills training to low-income women using a holistic approach within a compassionate, supportive environment. All women are welcome without regard for race, religion, color, creed, sexual orientation or national origin. For nearly 30 years, New Reach, Inc. (NR) has been inspiring independence for those affected by homelessness and poverty through a continuum of housing and support using the most innovative and progressive methods. Our goals are to help individuals and families who have experienced homelessness attain and maintain stable housing, achieve self-sufficiency, build long-lasting supportive networks, and live meaningful lives. The Norwalk Community College Foundation works to raise funds for Norwalk Community College (NCC) programs and scholarships; invest, administer and distribute funds so that students of all ages continue to benefit from challenging opportunities for self-improvement and intellectual growth; and inspire and engage our community to share talents and resources. The Open Door Shelter’s mission is to effectively address the causes and complexities of the homeless and working poor by providing shelter, food, clothing, case management services, treatment services, transitional planning for short and long-term goals, subsidized housing, education, employment, and a path towards independence and success. The Regional YMCA of Western Connecticut is a community service organization committed to building healthy lives that strengthen the spirit, mind and body for all. Our goal is to build strong kids, strong families and strong communities through Youth Development, Health Living and Social Responsibility. RYASAP’s mission is to be a catalyst in communities to foster the healthy development of youth, families and communities through the prevention of crime, violence and substance abuse. For over 30 years RYASAP has been a key element in CT’s efforts to empower youth facing challenges in the most disadvantaged communities within the state. The Mission of Stamford Center for the Arts’ (SCA) Palace Theatre: is to Entertain, Educate and Enrich the diverse population of Stamford, and Fairfield County. Our vision is to be the regional arts center for exhilarating performances that enhances the cultural, educational, economic, and social life of our community. STAR, Inc., Lighting the Way, is a not–for-profit organization serving individuals of all ages with intellectual/developmental disabilities, as well as providing support services to their families. We create opportunities for individuals to live full lives with independence, freedom of choice and personal growth by providing support, services and advocacy. We inform and encourage the community to recognize and appreciate the value of all individuals. The Center for Family Justice breaks the cycle of abuse & violence—domestic, sexual & child—by providing services that restore lives & drive social change through education, advocacy, & collaboration. Our vision is to end domestic & sexual abuse, human trafficking, & violence in our communities. The Center for Sexual Assault Crisis Counseling and Education provides counseling and support services to victims of sexual assault and to eliminate sexual violence through community-wide prevention education programs. The Discovery Museum’s mission is to engage, excite, and educate young learners through experiences and programs that inspire wonder and ignite creativity as the foundation for a lifetime love of science, technology, engineering, and mathematics (STEM) learning. The Klein’s mission: To enrich, educate and entertain through arts and ideas. The Klein with a 75+ year history continues to fulfill its role as a community and regional hub for performing arts and a resource to improve the lives of those who live in Bridgeport. The more successfully the Klein fulfills its role, the greater the opportunity for economic and individual success in Bridgeport. Wakeman Boys & Girls Club’s mission is to guide and inspire young people, especially those who need us most, to reach their full potential as productive, caring, and responsible citizens. Wakeman Boys & Girls Club provides more than 100 programs in three core areas: Academic Success, Good Character & Citizenship, and Healthy Lifestyles. Wakeman serves more than 3,500 1st-12th graders annually. Founded in 1919, YWCA Greenwich’s mission is to eliminate racism, empower women, and promote peace, justice, freedom and dignity for all. YWCA Greenwich is part of YWCA USA, an organization of 200 YWCA's across the country, comprising one of the top 25 largest charities in the U.S., and part of a movement serving over 2 million people in the United States. To advance YWCA’s mission, local YWCA's throughout the country offer programs in the areas of racial justice and civil rights and empowerment of women and girls.